What is the forecast for the yuan currency? There is plenty of potential with the currency but it also comes with some risks as well. There has been a lot of talk about the yuan becoming a world currency in the last few years and this has many investors curious. Recently Japan and China decided to engage in bilateral trade using the yuan, and this has eliminated any currency risks for companies in Japan and opens up trade relations further between the two countries. Right now companies outside of China must convert payment funds into American dollars. These dollars are then converted into yuan. The process can be very time consuming and currency fluctuations can be a problem. China wants to get rid of trade barriers with some countries including Japan and this increases the potential for the currency with investors. If the yuan currency actually becomes a second world currency and falls only slightly behind the dollar in demand the potential for investors could be enormous. Right now the currency is not traded on all markets and any change could significantly increase the demand and value of the currency. Investors who make successful trades with the currency could see big profits. China is pushing to increase the convertibility of the yuan to make it more attractive to global investors. If this happens then demand for the currency is sure to rise but there is no guarantee. Today the yuan currency is a very small player in the global currency trading markets and only accounts for around 1% of the currencies that are traded each day. The value of the yuan is not determined by the market factors like most currencies but is instead valued by the central bank of China. 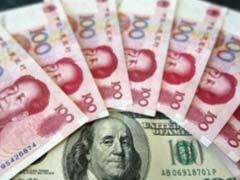 China has expressed concerns about speculation with the currency that could affect the capital flow for the country if the currency is valued by the market. Completely opening up the financial markets in China so that foreign investors play a role could help the yuan become a global player. This can not occur under the current developmental model that the country operates on though. The government would have to step bank and avoid interfering in business decisions and lending practices, and any manipulation of the yuan would need to be avoided completely. The yuan currency forecast shows that this currency has some significant potential if certain events occur. There are also a number of risks involved with this currency as well though. Every investor has different goals, strategies, and acceptable risk levels. Whether or not the potential risks and possible rewards of the yuan will fit with a specific investor and investment plan will depend on the individual situation. The risks posed by the yuan may not outweigh the potential that the currency has for some investors, but for others the math may add up and this currency may be an ideal choice. Budget controls in China and the end of export stimulation would be a good first step towards allowing the yuan to reach the full potential of the currency.